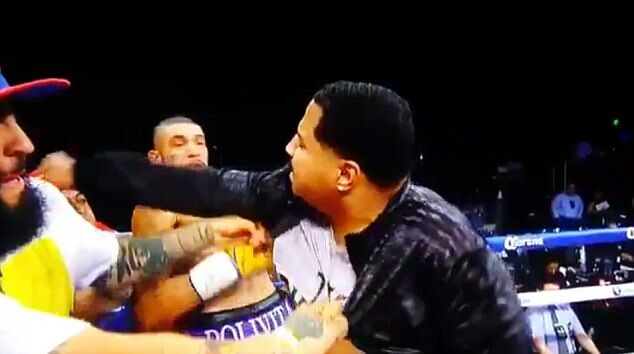 Super-middleweight world champion Andre Dirrell’s uncle launched into a frenzy of punches on opponent Jose Uzcategui after his nephew’s win by disqualification on Saturday night. 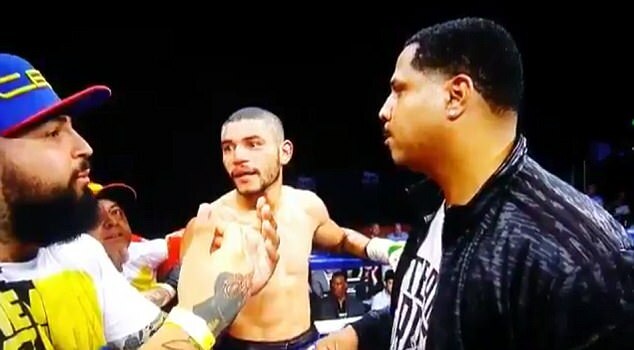 In chaotic scenes at the MGM National Harbor in Maryland, trainer Leon Lawson entered the ring to attack a stunned Uzcategui following the fight for the interim IBF belt. 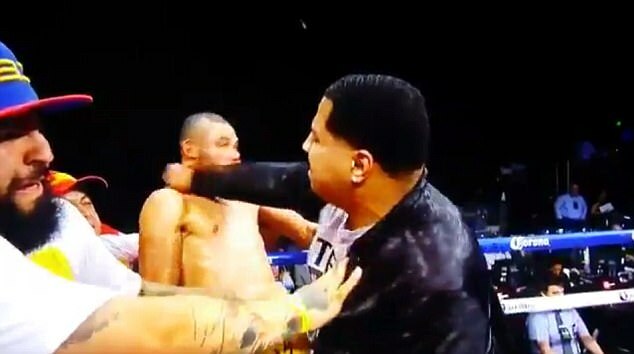 The Venezuelan was hit with a left hook by Lawson, who followed up with his right hand having stormed his corner to spark a brawl. Uzcategui was taken to the trauma center at MedSTAR Washington Hospital in Washington DC for evaluation, according to ESPN. He was released a few hours later. Local police are seeking Lawson for questioning on counts of first and second-degree assault. WHAT’S THE DIFFERENCE BETWEEN FIRST AND SECOND-DEGREE ASSAULT? First-degree assault takes place when someone causes or attempts to cause ‘serious physical injury’ to another. In Maryland, first degree assault is a felony that carries a maximum sentence of up to 25 years. Second-degree assault is less severe, and is considered a misdemeanour rather than a felony. It is considered to have taken place when someone causes or attempts to cause ‘offensive physical contact’ to another. It carries a maximum sentence of 10 years and a fine of $2,500. First-degree assault comes with a maximum possible prison sentence of 25 years. 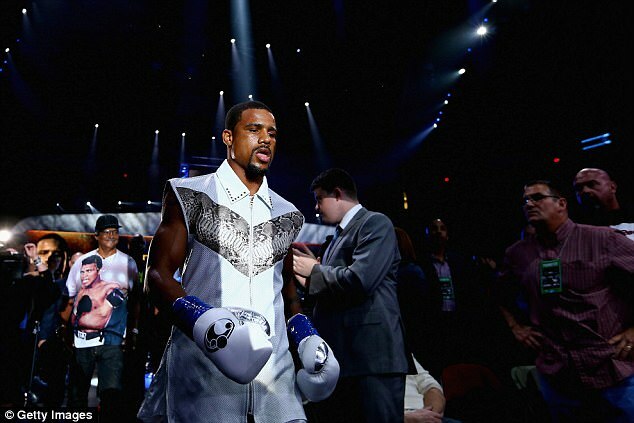 ‘I’m sorry for what my coach has done,’ Dirrell said. ‘My coach is my family, my uncle, and he was worried. He cares for me. He loves me. Please forgive him. 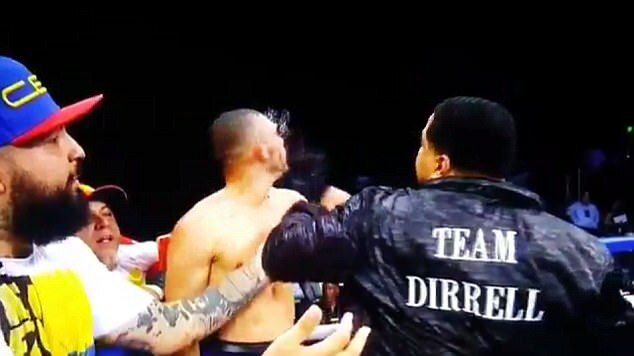 Dirrell won Saturday night’s fight after Uzcategui was twice adjudged to have hit him after the bell. 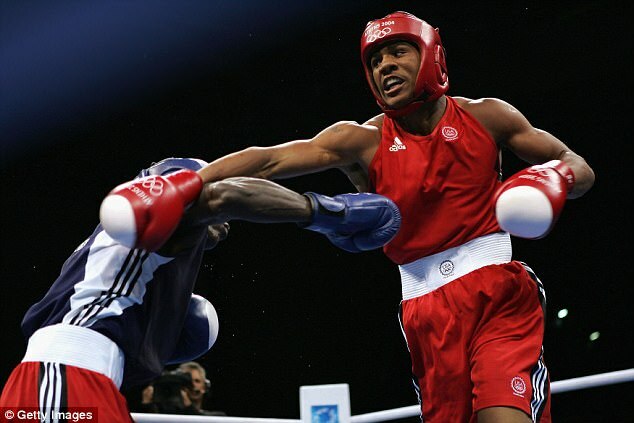 He went down face first and was ruled unable to continue, with his Venezuelan opponent disqualified. ‘I felt very good. I was hurting him the entire fight. I felt like I could hurt him anytime I wanted. 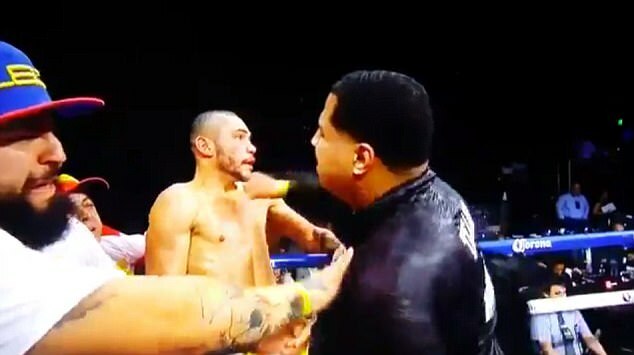 Nothing he hit me with hurt me,’ Uzcategui said. Referee Bill Clancy said he had earlier warned the Venezuelan about late punches. ‘The bell rang to stop the round. The round was over and Andre was knocked out with an illegal punch,’ Clancy announced. ‘All I remember was him (Uzcategui) throwing a shot at me at the same time the bell rang,’ Dirrell said. Dirrell – a bronze medalist at the Athens Olympic Games in 2004 – now becomes a mandatory challenger to IBF world champion James DeGale. Dirrell’s co-headliner Gary Russell Jr, who beat Oscar Escandon to defend the WBC featherweight title, also apologised. Interestingly, Saturday was not the first time that Dirrell had claimed victory by disqualification. In 2010, he emerged successfully from his bout with Arthur Abraham in Detroit after his opponent hit Dirrell after he had slipped to the canvas in round 11. 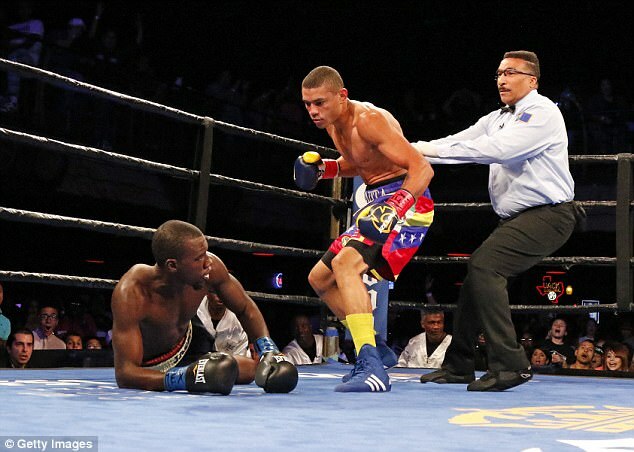 ‘He did the same thing against Abraham that he did against me tonight,’ Uzcategui said. 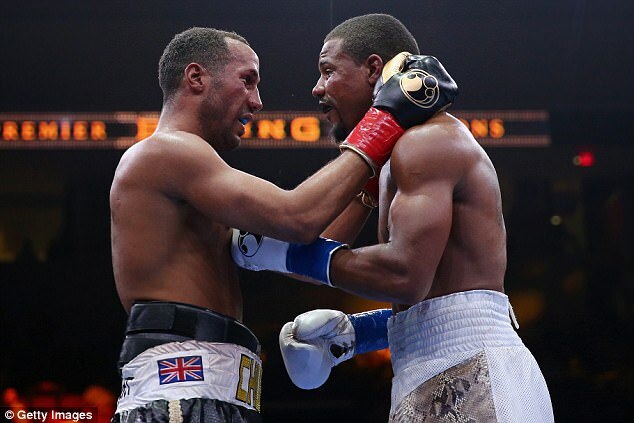 The 33-year-old Dirrell’s 28-fight professional career has only featured two defeats – both at the hands of British boxers. After 18 straight wins following his 2005 debut, he lost by split decision to Carl Froch in a WBC super-middleweight title fight, having been deducted one point in the 10th round for excessive holding. Six years later, in 2015, he was beaten by unanimous decision by DeGale when the pair clashed for the vacant IBF super-middleweight title in Boston. 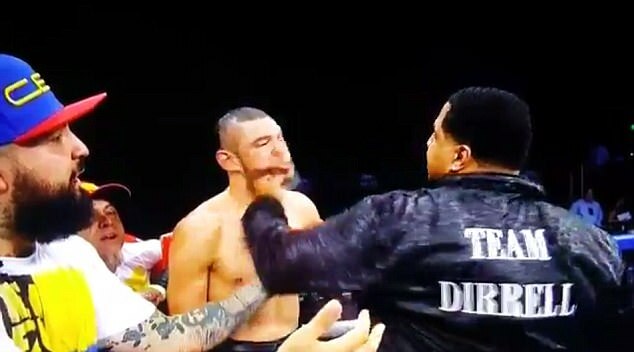 He was trailing 77-75 and 77-74 on two of the judges’ scorecards at the time of Uzcategui’s disqualification on Saturday, with the third card level at 76-76.